Travel theme: Youngsters | Oh, the Places We See . 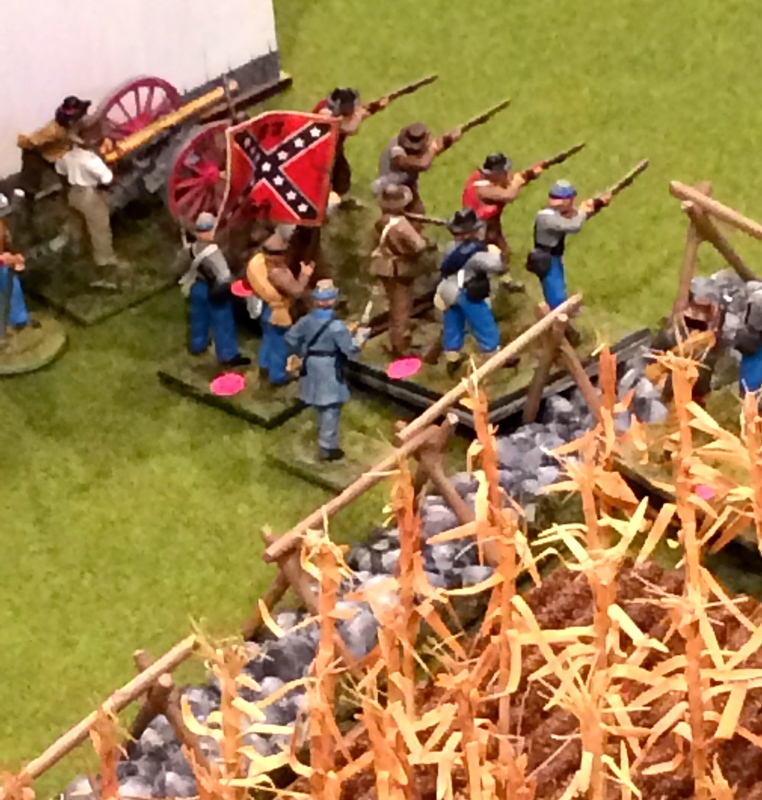 . .
As part of the Knoxville Civil War Sesquicentennial celebration this past weekend, the Historic Gaming Club of Knoxville set up miniature battlefields in the East Tennessee History Center. 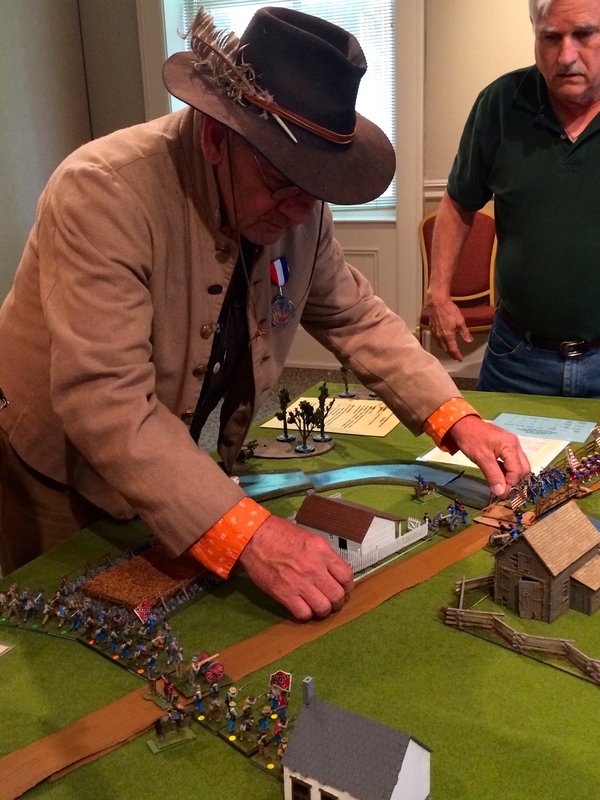 Knoxville Gaming Club members set up miniature battlefield at East Tennessee History Center. The goal? 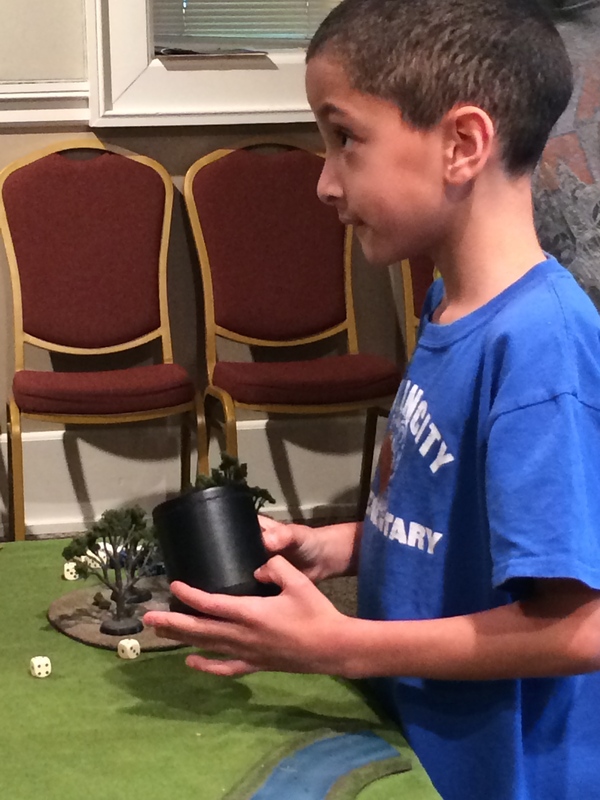 Let youngsters get hands-on experience with troop movements, battle maneuvers, etc., with the roll of the dice. Ready to roll the dice and determine the next troop movement. Tiny soldiers on tiny fields stood ready with tiny flags, artillery, and such. Confederate soldiers ready for battle! Mostly, though, the youngsters we saw discussing the hows and whys of troop movement were the big ‘uns, the ones wearing the blue and the gray! A big youngster adjusts the playing field! But a good time was had by all! For more pics of youngsters, move on over to Ailsa’s blog Where’s My Backpack and check out Travel theme: Youngsters. 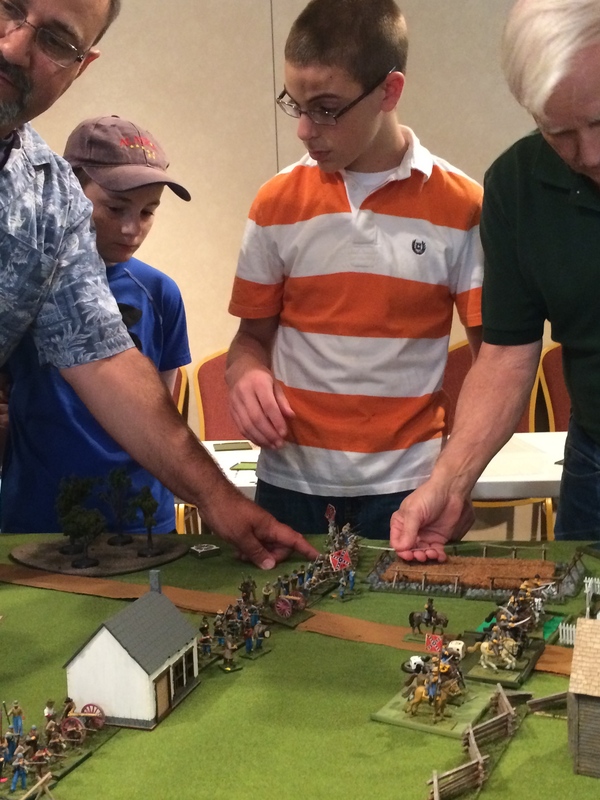 This entry was posted in Tennessee, Travel Theme and tagged Civil War, Civil War Sesquicentennial, East Tennessee History Center, Historic Gaming Club of Knoxville, miniature battlefield, Travel theme: Youngsters. Bookmark the permalink. Oh, wow! Hands-on Miniature battlefields are so much fun. I bet my son will go crazy on this. It’s good to go back to good old toys and be away from smartphone and computer games. A great way for kids to socialize too. Thanks. All the best to you and your family. It was a great way to socialize, and I’ve known some former students who were so caught up in “play” that they developed a new love and appreciation not only for the real thing but also the miniatures and other collectibles. Thanks for reading! My son would have loved that when he was younger. The kids seemed pretty engaged, but it was the men who were really “into” it! We adults like to have fun, too, right? You are so right, Amy! And these kids were pretty much fascinated even thought the “game” took longer than they may have anticipated. Thanks for commenting!